In the 1920s, Hajj Amin-al-Husseini was the political and spiritual leader of the Palestinian Arabs. A vicious anti-Semite, he led numerous pogroms against Jewish settlers. 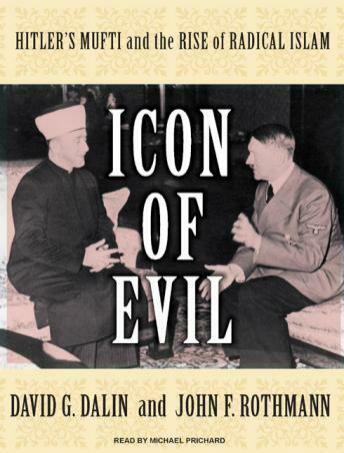 During World War II, al-Husseini allied himself and his people with Hitler; he lived in Germany, met with Hitler, encouraged 'the final solution,' and became close friends with Himmler and other Nazis. After the war, al-Husseini escaped (he would certainly have been convicted at Nuremberg for war crimes) and fled to Egypt. His standing only rose, and in Egypt he was instrumental in fomenting Nazi-style anti-Semitic propaganda there. He also became the mentor to a new generation of radical 'Islamo-fascist' Arab leaders. Foremost among them: Yasser Arafat. A completely biased list of "arab terrorist" acts. No analysis. Not even any interesting explinations of who everyone was. No mention of Jewish retaliation or provocation. Reads like a high school term paper titled "The different years the Arab Terrorist Blew Something Up."